In 13th century Spain, seven hundred years before anyone thought of using the term 'world music', a remarkable king named Alfonso the Wise was creating it. Alfonso X, King of Castile and Leon, filled his courts with the finest poets, musicians, artists and scientists he could find, from all three of the Iberian peninsula's great religions. Christian, Jews and Muslims worked side by side, creating a body of work that included groundbreaking scientific and astronomic treatises, translations of epic poems and scriptures from as far away as Indiaand some of the earliest and most sophisticated blends of European and Middle Eastern/Arabic music. The greatest of these was the enormous collection of songs in praise of the Virgin Mary now called Cantigas de Santa Maria. 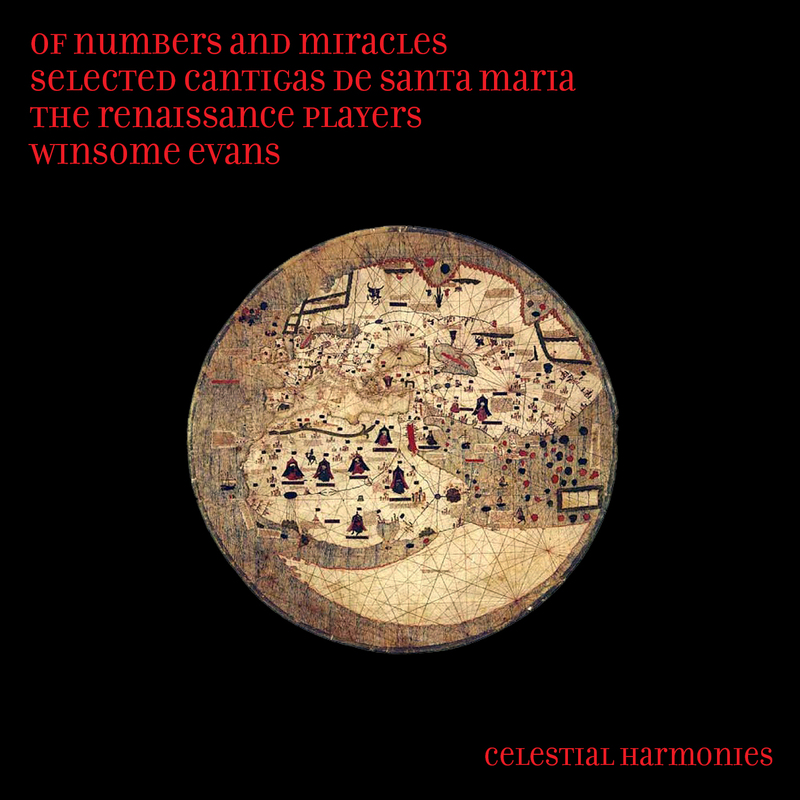 This collection of performances by the Australian early music ensemble The Renaissance Players is a colorful and widely varied introduction to the cantigasbut it is simply that, an introduction. Alfonso and his collaborators produced four volumes of music, poetry, and history under the name of Cantigas de Santa Maria. Three of the manuscripts are incomplete, but the fourth, the one used by The Renaissance Players, contains an unparalleled compilation of 427 songs. In addition to instruments like the vielle (a bowed lute), the shawm (a plangent-sounding reed instrument), and the harpall of which one might expect to hear in medieval European performancesThe Renaissance Players also include the Greek bouzouki and the Turkish diwan saz (both types of lutes), the tapan (a southeast European drum), and a wide range of vocal techniques. Many cantigas recordings have been made over the years. But this massive collection, with its tangled musical/cultural roots, its perplexing instrumentation and performance questions, and it s strange mix of spiritual and worldly sentiments, has never been a comfortable fit with the classical music world. Only in the last years of the 20th century, with the surging interest in multiculturalism and world music traditions, has the broader musical world begun to catch up with the work that Alfonso and his collaborators were doing in the second half of the 13th century. Director of the Renaissance Players, Winsome is also the producer of the fourvolume edition entitled The Sephardic Experience (19911) and Testament: Archangels' Banquet/Shepherds' Delight (14197). Aside from the performance and dance schedule of the Renaissance Players, she teaches music at the University of Sydney and is one of Australia's busiest harpsichordists. She has mastered an additional 25 wind, string, percussion and keyboard instruments. 1 Bêeyta es Maria (Cantiga 420) 3'24"
2 Rosa das rosas (Cantiga 10) 5'34"
3 Da que Deus mamou (Cantiga 77) 4'17"
4 Quen bôa dona querra (Cantiga 160) 5'11"
5 Muito devemos varôes (Cantiga 2) 7'36"
6 Non pod' ome pela Virgen (Cantiga 127) 7'15"
7 Bêeyto foi o dia (excerpt, Cantiga 411) 5'49"
8 O que pola Virgen leixa (Cantiga 124) 7'34"
9 O nome da Virgen Santa (Cantiga 254) 1'54"
10 Non deve null' ome (Cantiga 50) 4'59"
11 A madre do que a bestia (Cantiga 147) 3'03"
12 Assi pod'a Virgen (Cantiga 226) 7'55"
13 Santa Maria strela do dia (Cantiga 100) 3'55"
14 Virgen madre groriosa (Cantiga 340) 10'08"